The Navy’s acquisition chief disbanded his unmanned systems office, not as a sign of decreased focus on its mission, but to nudge unmanned systems into becoming part of everything the Navy does. “I don’t want it to be misconstrued that we don’t think unmanned is important; it’s actually exactly the opposite, I think unmanned is so important we need to have it integrated with all of our other teams,” Assistant Secretary of the Navy for Research, Development and Acquisition James Geurts said in a May 24 interview. Geurts announced in an April 30 memo that the office of the deputy assistant secretary of the Navy for unmanned systems – about half a dozen people total – would be disestablished, with the personnel and the remaining mission work transitioned to other offices. Geurts and the now-former DASN Unmanned Systems, retired Marine Corps Brig. 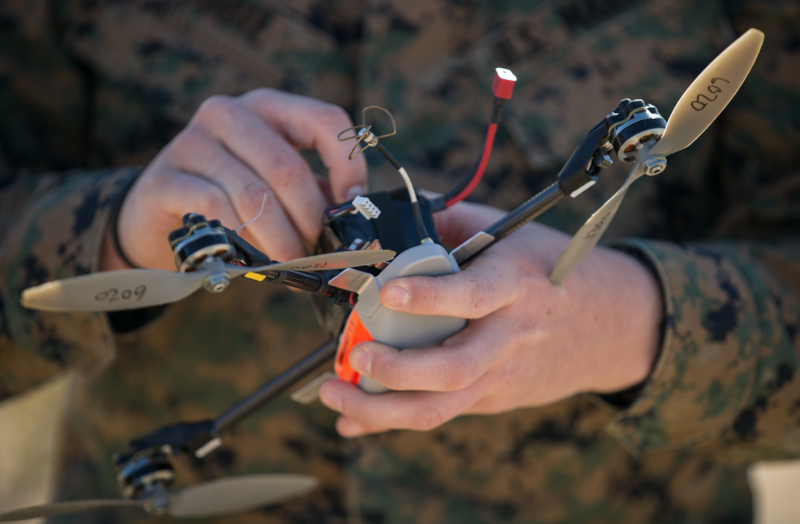 Gen. Frank Kelley, told USNI News that personnel were transitioned to other DASNs based on their expertise – those with experience in unmanned air systems were sent to DASN Air, those with experience in standards and policy went to DASN Research, Development, Test and Evaluation. DASN RDT&E will play a particularly important role for unmanned systems going forward, overseeing any remaining policy, legal and ethics issues, as well as standards, commonality and integration efforts. Geurts said much progress has been made in these areas but that work remains, and since DASN RDT&E already works those types of issues for other emerging technologies like artificial intelligence and directed energy weapons it should also handle them for unmanned systems. Geurts said he took a look at the secretariat after being sworn in in December, and he felt comfortable that DASN Unmanned had met all of its original missions. “When I looked at mission success from where I think the intent of the guidance was – to really get unmanned to be a part of everything the Navy does, have a little special emphasis to get it up on par with the traditional ways we’ve done warfare – and when I look at the accomplishments I think not only have they met the intent of the tasking but actually taken it quite further to the point where on the [Chief of Naval Operations’ staff] side of the staff you can’t distinguish anymore the manned from the unmanned, it’s part of everything,” Geurts said. 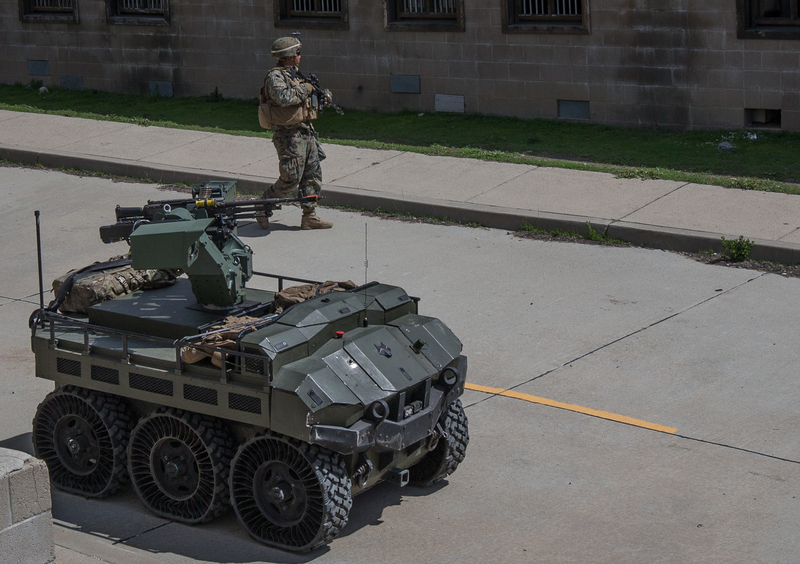 A primary mission was the development of an unmanned systems roadmap, which Kelley and his staff began work on in 2016 and was finally signed by Geurts in the second week of March. Geurts said the roadmap looked at several facets of unmanned systems operations. 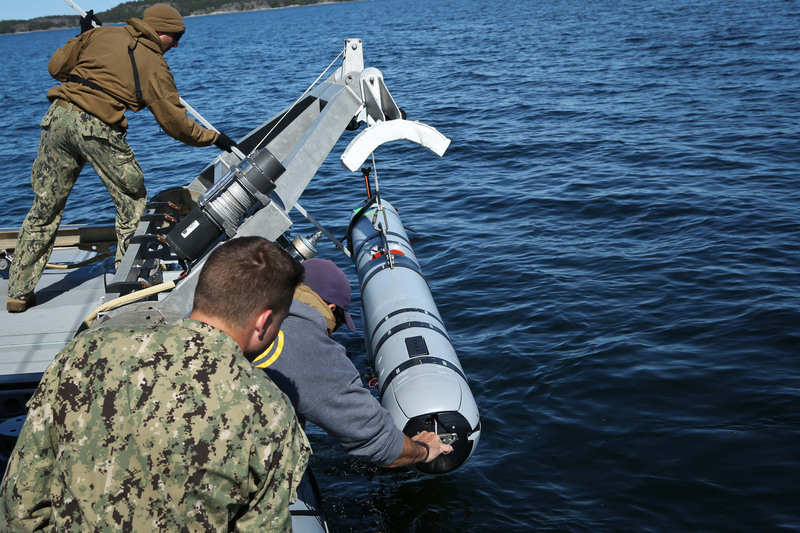 One, where can unmanned systems help the Navy and Marine Corps conduct missions they have not done before – for example, with an unmanned system that can swim to deeper depths of the oceans than a manned submarine. Two, where can unmanned systems help the Navy and Marine Corps do today’s missions in a better or more cost-effective manner? And three, where does unmanned give sailors and Marines another tool to tackle an operational scenario, making them a more agile force? The Navy has not made the roadmap publicly available – USNI News understands the document is not classified but includes sensitive information the service does not want in the open. 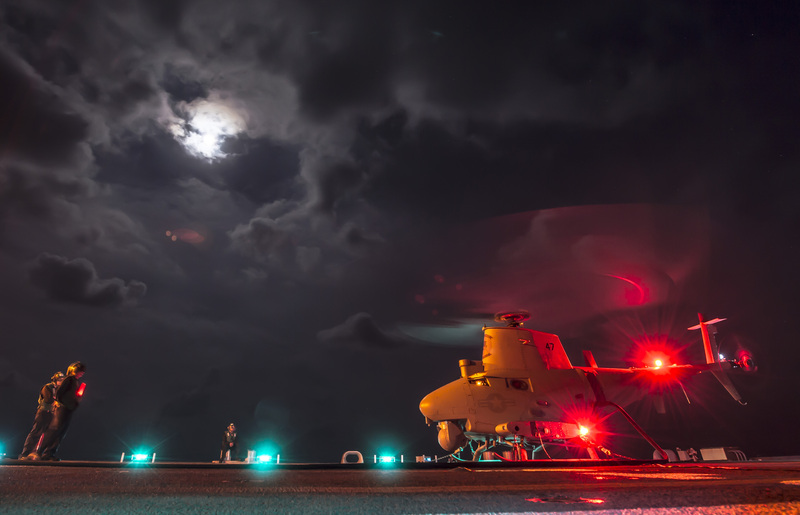 However, the service last week gave USNI News a short version of the document that outlines unmanned systems vision, employment concepts and objectives. Geurts said the roadmap does not consider current technological or policy boundaries or barriers because “the fact that they’re boundaries today doesn’t mean they’re going to be boundaries all the time in the future.” He added that there are still debates to be had about the role of unmanned systems in warfare, but that unmanned systems can provide great benefits to warfighters today and therefore should be leveraged where possible. Kelley said the roadmap considers the entire DOTMLPF: doctrine, organization, training, materiel, leadership and education, personnel, and facilities. 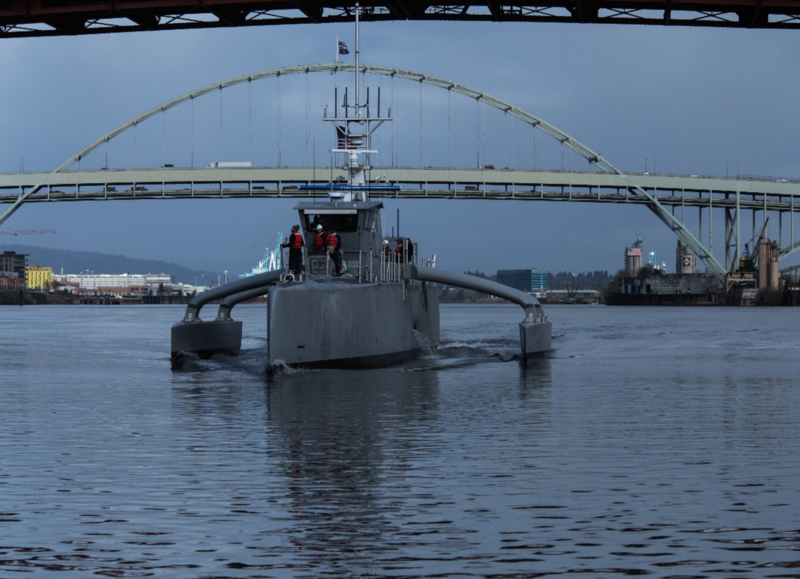 By including all these communities in the discussion, he said the Navy as an enterprise learned a lot about how it can incorporate unmanned systems, but it also learned how to continue the conversation into the future. For example, he said, the legal community was heavily involved in the roadmap development, to include many lieutenants and lieutenant commanders in the legal field. Kelley said that years from now those officers will know the whole range of issues that were discussed while developing the roadmap, that way the next big conversation about unmanned doesn’t repeat past efforts and can instead propel the conversation forward. Kelley also praised the roadmap for offering some specifics – such as focus areas like seabed warfare – without promising dates or technical specifications of systems the Navy might not be able to hold itself to. He said the roadmap offers the right amount of specificity to give industry and warfare centers an idea of Navy priorities to pursue in their work. Geurts said the roadmap is meant to be a living document that can be added to or changed as needed, but he said he’s comfortable having those future efforts overseen by the Navy’s operators, researchers and acquisition professionals without the supervision of a dedicated DASN Unmanned Systems office. “There’s always opportunities to continue to push the boundaries on accelerated acquisition; on, are we really challenging new ways of thinking about old problems, new ways of thinking about new problems. We always need to be challenging ourselves with that,” Geurts said.